a series of chess engines by Richard Lang, written in assembly for various processor architectures such as Motorola 68000 and Intel 8086 and x86, and successor of Lang's dedicated 68000 based Mephisto Vancouver program incorporating small improvements, the 8086 version first released in 1992 as PC program running under 16-bit MS-DOS . 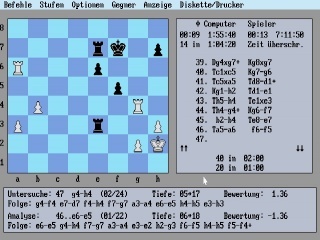 Chess Genius 2 won the manufacturers and Absolute World Microcomputer Chess Champion titles at the WMCCC 1993 running on the PC based Mephisto Wundermaschine, and was also shipped as Mephisto Genius 68030 module for Mephisto module systems. 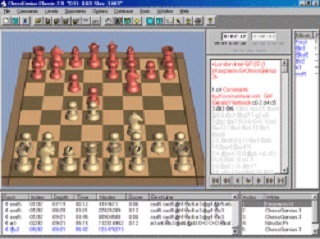 Chess Genius 4 in 1995 became a 16-bit Windows program  with a GUI developed by Adrian Millett  written in C , which further evolved to a multi-engine GUI via Chess Genius 6 (6.5) to the Millennium Chess System , and the Chess Genius Classic GUI . 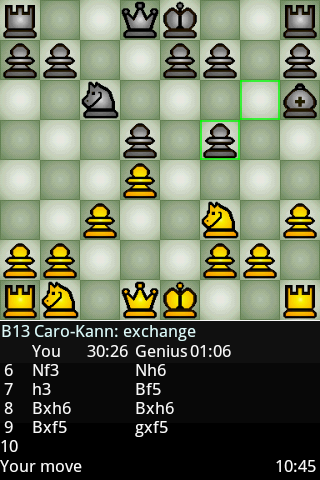 Chess Genius was further ported to various PDA and mobile platforms, such as Palm and Apple's iPhone, iPod touch, and iPad on the iTunes Store  , as well as Android. In November 2015, Chess Genius, ported to the ARM Cortex-M processor, was released as dedicated Millennium ChessGenius. In 1994, during the Intel Grand Prix Cycle  in London, Chess Genius 3, operated by Ossi Weiner, won a speed chess game (25-minutes per side) versus Garry Kasparov  and drew the second game, knocking Kasparov out of the tournament. This was the first match that Kasparov ever lost to a computer. In the next round, Genius then beat Predrag Nikolić, but then lost to Viswanathan Anand     . ChessGenius for Android is a chess playing program for phones and tablets with Android 4.0 and higher with hundreds of playing levels including 13 easy levels where ChessGenius makes deliberate mistakes . ChessGenius Classic 7.0 - The Chess Program that beat Kasparov! ↑ ChessGenius Classic 7.0 - The Chess Program that beat Kasparov!